My Internet connection was out for most of the day on Friday, January 12th — I received a new modem from my ISP and planned on getting last week's issue out to you the next day. Unfortunately I was visited by some awful malady. I don't know if it was the flu or a cold, I just know that I didn't feel like doing much for the last week. I am starting to feel a little better today. The weather report on TV is saying that there are epidemics in 49 of our 50 states. 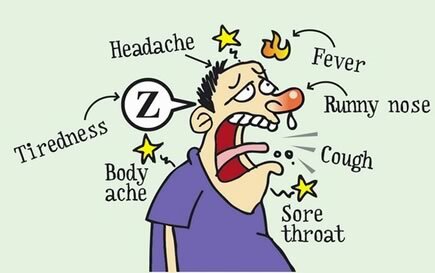 It sure would be nice to be lying on the beach in Hawaii — but I am sure they wouldn't appreciate me making them the 50th flu state (if that's what I have). Editing this newsletter is my favorite pastime so you know that I hated to miss an issue. Looking back over my past issues, I haven't missed over two or three each year for the past 16 years, frequently less. Hope you can help me keep it going as long there is Wireless Messaging News to report. P.S. My ISP is Frontier Communications via a telephone wireline using ISDN aDSL (I guess). It has been fairly reliable for a couple of years since I shifted from a Wi-Fi type service. The best speed I could get was around 6 Mbps downloading since I live in the country. Lately the service has become terrible. They have dropped my speed in half so they could overload the system and add more customers. They say they are working on an upgrade to their server and promised to call me — but I don't hear from them. The sad part is that I am still paying for the higher rate. The politicians in Washington DC are all blabbing about the importance of high-speed rural internet but it hasn't reached me. Sad to note that there is fiber along US Highway 45 just a couple of hundred yards west of me. GERMANTOWN, Md., Jan. 15, 2018 /PRNewswire/ — Beeper Communications, Israel and Mantaro Networks, Inc. have successfully deployed the first portable/mobile versions of the Safety Dynamics' SENTRI II, Gunshot detection systems, in the city of Baltimore. 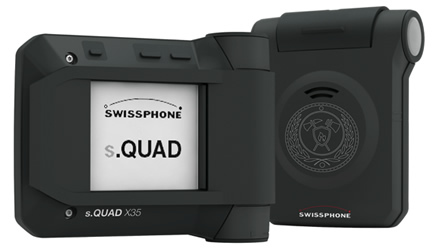 The deployment marks a milestone in the advancement of this proven public safety technology, by allowing the standalone gunshot detection systems to be completely portable using Beeper's advanced wireless cellular bonding solution, the IE 5000 Multi-WAN Channel Bonder. The IE 5000 delivers high capacity broadband connectivity where and when needed by the user. "Integrating the Beeper IE 5000 bonded Cellular platform to the SENTRI system has resulted in a real market disruption in the industry…" said Sally Fernandez, CEO Safety Dynamics. Fernandez went on to say "...SENTRI II changes the game for gunshot detection technology. Safety Dynamics now has a complete standalone portable system, with power and network connection that offers gunshot detection and surveillance, anytime and anywhere you need it." Unlike competing GSD solutions, each SENTRI unit operates independently and does not rely on a larger matrix of sensors. 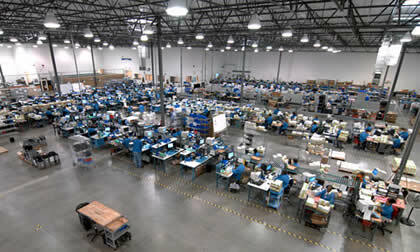 This provides superior reliability and significant cost savings for the end user. 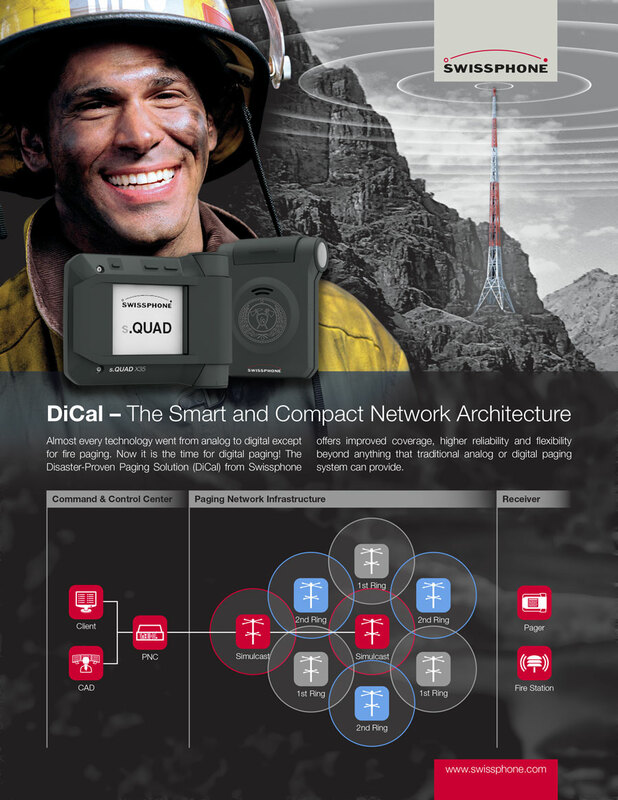 The integration of bonded cellular wireless communications adds unmatched flexibility, as the units are now untethered from any reliance on fixed wired infrastructure such as fiber or cable resulting in significantly reduced deployment costs." Through the IE 5000 SENTRI II offers the end users link aggregation, bonding, load balancing and redundancy, assuring highly reliable and secure data and video transmission. Beeper's IE 5000 cellular bonder is the leading anywhere-to-everywhere wireless Comprehensive Communication Device (CCD). "There is a clear and rapidly growing need for GSD solutions, as many major cities continue to experience gun violence on an epidemic scale. The flexibility that the portable SENTRI II provides is unprecedented in the industry. Competitive solutions are expensive and can require months of test and validation which adds to expense and can strain municipal budgets," said Fernandez. "Our new solution, SENTRI II, that we have jointly developed, is rapidly deployable and immediately operational … and now can be moved at will to the areas most in need of this deterrent technology saving both time and money," states Moshe Levinson, SVP Business Development and Special Situations, Beeper Communications. Safety Dynamics is an industry pioneer specializing in gunshot detection, camera and acoustic surveillance and other analytical sensory technology and warning systems. The SENTRI solution uses patented acoustic algorithms identifying the precise location with plus/minus 1 degree of accuracy. Alert and notification is delivered directly to the user within less than 1 second of an event. The system immediately geo-locates the event and will plot it on a map, which can be integrated with the user's command center or Network Operations Center (NOC). The current project is an extension of a 2015 pilot project with the City of Baltimore. The addition of the SENTRI II portable version of Safety Dynamics advanced acoustic surveillance analytical sensory technology with Beeper's communications solution will enable further efficacy and strategic use of the systems. For example, the City of Baltimore can now deploy quickly for "one-off" events, such as the Preakness, that occurs once a year. Events and concerts such as the one at the Mandalay Bay in Las Vegas or unplanned events can now be protected more effectively and on short notice. "SENTRI II could have detected the glass breaking at the Mandalay Bay Resort in Las Vegas within less than 1 second and provided the precise location of the shooter enabling security personnel to move in more quickly and more accurately to apprehend the shooter," said Fernandez. Mantaro Networks provides best in class engineering services for the project working closely with all partners from the manufacture of the system itself to the installation. Mantaro already sells and supports the Beeper and Safety Dynamics technology in the U.S., and will also incorporate enhanced automatic testing and emulation software. 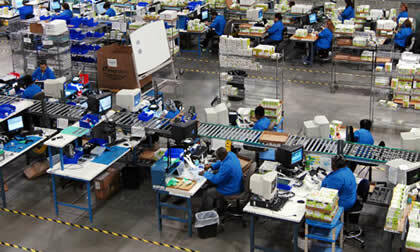 This "24/7 Health Check" further improves upon the existing system's maintenance, monitoring and control capabilities. The Companies will expand the program with 4 other US city projects in the Northeast and Midwestern US. The next deliveries are scheduled for January of 2018 to the City of Houston. It's good to see paging companies diversifying their businesses into other wireless and related areas. 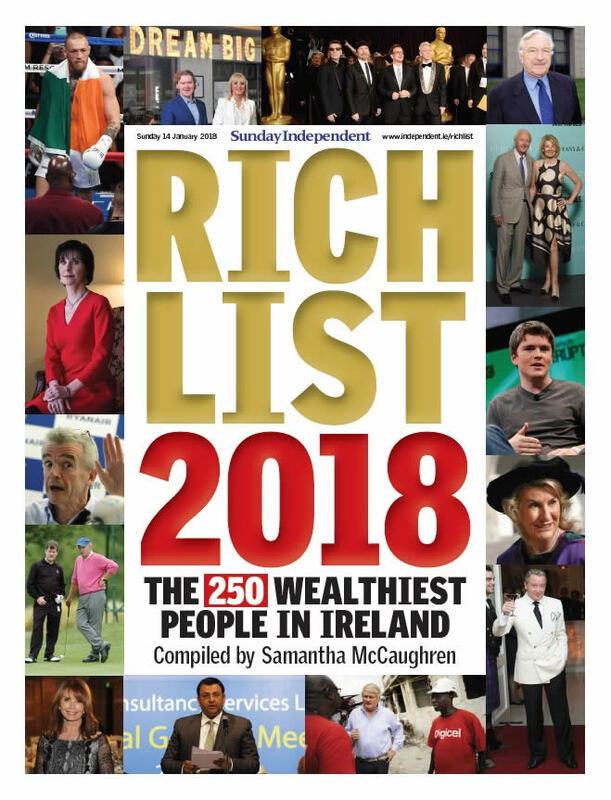 Also, please note the following article about Dan and Linda Kiely who made it into the list of the wealthiest people in Ireland. Congratulations to all of these paging people. RCR Wireless News goes all in for “Throwback Thursdays,” tapping into our archives to resuscitate the top headlines from the past. Fire up the time machine, put on the sepia-tinted shades, set the date for #TBT and enjoy the memories! LAS VEGAS-Motorola Inc. announced plans to commercially introduce the SC3160 phone, a new entry-level Code Division Multiple Access wireless phone at the Consumer Electronics Show here last week. Commercial availability in the Americas for the SC3160 is slated for the first quarter, said Motorola. Motorola also introduced several new paging products at CES, including an upgraded version of its two- way pager, called the PageWriter 2000X. The new pager has three times the memory capacity of the previous model, up to 3.25 megabytes, so it can hold a much larger number of contact list entries and various software applications. According to Amy Kabcenell, market development and training manager for Motorola’s North American Paging Subscriber division, the company is hoping to attract more third-party developers to write applications for the new device, and believes this added memory capacity will aid in that effort. Motorola was previewing the 2000X at CES, with expectations to have it commercially available this summer. Also previewed at the show was a new card to add paging capabilities to Windows CE powered handheld devices called the CF1350. 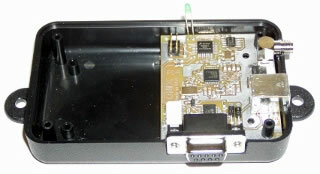 According to Steve Shapiro, senior marketing manager for Motorola’s Paging Products group, the new card functions much like the Synapse Pager Card, developed for the Palm series of handheld organizers, except it is for WCE devices and can operate over several paging carriers’ networks. Shapiro said the new card is designed to accept text and numeric one-way messaging. Only handheld devices built specifically to process these paging signals will be able to make use of the information, though. In other words, the pager card is the receiver for the paging signals, but for the numeric or text information to come on screen, the device itself must be configured to make sense of that information. The first manufacturer to release such a wireless-ready handheld device is Hewlett Packard CO., with its Jornada 42, displayed at the Motorola booth along with the new pager card. The CF1350 is expected to be available this summer as an after-market product, retailing in the high $100 range, said Shapiro. Having served the people of St. Mary’s County for nearly 20 years, Harris Corporation is saddened by the tragedy on October 24, 2017, and has assisted the county with a comprehensive technical review of the events of that morning. Unfortunately, one commissioner remains unconvinced by our findings, despite our commitment to providing the county with verified facts. 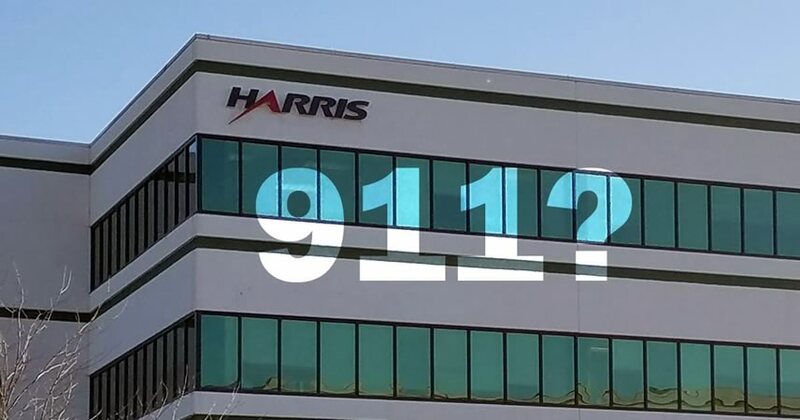 Because the people of St. Mary’s County deserve objectivity and substantiated facts, Harris used an independent third-party source to verify—with certainty—that VHF Fire Paging Tones were transmitted and received in their entirety as noted on a public scanner. Harris went further to publicly and candidly respond to questions from the Commission, including noting that we cannot speak to the performance of the equipment in the fire stations that falls outside of our contract with St. Mary’s County. Harris can, however, assure the people served by the community’s volunteer first responders that Fire Paging Tones were both sent by the Harris radio system and received by an independent public scanner. Those are the facts—as verified by a third-party—and we stand by our system and our work. Harris welcomes an independent review of the emergency radio system and contract procurement process, and will continue to support the county in this important effort. Read previous stories regarding the 9-1-1 system failure here. 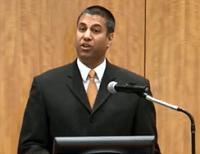 FCC Chairman Ajit Pai circulated the draft of the 2018 Broadband Deployment Report among his colleagues. The agency’s responsibility for issuing the annual report was spelled out in the 1996 Telecommunications Act. The draft report maintains the same benchmark speed for fixed broadband service previously adopted by the Commission: 25 Mbps download/3 Mbps upload. 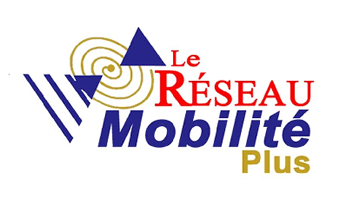 It also concludes that mobile broadband service is not a full substitute for fixed service. Instead, the document notes there are differences between the two technologies, including clear variations in consumer preferences and demands, according to the Chairman. FCC investigators are on the ground in Hawaii gathering information on last weekend’s false missile alert, FCC Chairman Ajit Pai told attendees at an NAB event about broadcasters’ role in emergencies Thursday. “We want to understand how this mistake occurred, why it took 38 minutes for the state of Hawaii to issue a correction alert, and what needs to be done to ensure that this does not happen again, in Hawaii or elsewhere,” he said. Speaking of public safety in general, Pai highlighted three areas the Commission is working on: resiliency, alerting and next-gen TV. Last month, the agency sought public input on topics related to the 2017 hurricane season, especially their impact on broadcasters. Comments are due January 22. Pai said the input will help inform workshops the FCC plans to hold this year on improving future response efforts. And next-gen TV or ATSC 3.0, provides new ways to reach the public during emergencies; it has the ability to send a signal to wake up your TV so viewers can see alerts, in multiple languages, he said. The technology will also allow alerts to be more narrowly targeted. “We don’t think we should hold back new services,” said Pai. “Broadcasters should be able to innovate. The work you do is certainly not lost on this regulator,” he said as he ended his speech. On December 19, the FCC issued a list of locations that are eligible for up to $2 billion in support for broadband deployment over the next decade. A list of eligible census blocks can be found here, and a map of those locations can be found here. BloostonLaw has assisted clients in the successful participation in previous FCC reverse auctions, including preparation of the participation applications; handling bids; assisting with formulation of bidding strategies, advice regarding the complex bidding rules; and preparation of related agreements and disclosures. BloostonLaw Contacts: Ben Dickens, Gerry Duffy, John Prendergast, Cary Mitchell, and Sal Taillefer. On January 5, the FCC released the full text of its Order reinstating the information service classification of broadband internet access service (BIAS) and repealing the Bright Line Rules of Net Neutrality. A copy of the document can be obtained here. Originally adopted on December 14, the Order restores the classification of broadband Internet access service as a less regulated “information service,” and reinstates the private mobile service classification of mobile broadband Internet access service. The Order also eliminates the Internet Conduct Standard and the Bright Line Rules. 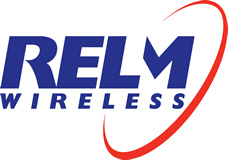 On January 4, the FCC published notice in the Federal Register that it is seeking OMB approval for the revisions to the pole attachment complaint and network change notification rules it adopted in the Accelerating Wireline Broadband Deployment by Removing Barriers to Infrastructure Investment Order, WC Docket No. 17- 84. Paperwork Reduction Act (PRA) comments are due by March 5. 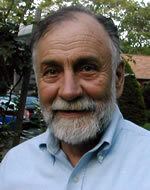 Specifically, Commission Rule 1.1424 states that the procedures for handling pole attachment complaints filed by incumbent local exchange carriers (ILECs) are the same as the procedures for handling other pole attachment complaints and the associated information collection, among other things, tracks the burdens associated with utilities defending against complaints brought by ILECs related to unreasonable rates, terms, and conditions for pole attachments. In the Order, the FCC expanded the type of pole attachment complaints that can be filed by ILECs, now allowing them to file complaints related to a denial of pole access by utilities. Section 251(c) of the Communications Act pertains to network change disclosures. The information collections associated with section 251 are used to implement (1) local exchange carriers' (“LECs”) obligations to provide their competitors with dialing parity and non-discriminatory access to certain services and functionalities; (2) incumbent local exchange carriers' (“ILECs”) duty to make network information disclosures; and (3) numbering administration. In the Order, the FCC adopted new rules concerning certain information collection requirements implemented under section 251(c)(5). Most of the changes to those rules apply specifically to a certain subset of network change disclosures, namely notices of planned copper retirements. In addition, the changes remove a rule that prohibits incumbent LECs from engaging in useful advanced coordination with entities affected by network changes. On January 9, President Trump officially renominated Commissioner Brendan Carr to serve a full five-year term on the FCC beginning July 1. Commissioner Carr is currently serving out the remainder of former Chairman Tom Wheeler’s term, which expires at the end of June, by virtue of a deal reached last summer between Majority Leader Mitch McConnell (R-KY) and Minority Leader Chuck Schumer (D-NY). On January 10, the FCC published in the Federal Register its Public Notice in which it proposes to adopt an exclusion from routine historic preservation review under section 106 of the National Historic Preservation Act for undocumented or “twilight” towers. Comments are due February 9, and reply comments are due February 26. The collocation licensee or the owner of the tower has received written or electronic notification that the FCC is in receipt of a complaint from a member of the public, a Tribal Nation or NHO, a SHPO, or the Advisory Council that the collocation has an adverse effect on one or more historic properties. In the event that a proposed collocation on a Twilight Tower does not meet the conditions specified above for this exclusion, the collocation must undergo historic preservation review as required by the rules of the Advisory Council. All applicants and Federal property managing agencies must use the GSA Common Form Application for wireless service antenna structure siting developed by the Administrator for requests to locate broadband facilities on Federal property. The Administrator of General Services (Administrator) must evaluate the effectiveness of the GSA Common Form Application for use in streamlining and expediting the processing and review of requests to locate broadband facilities on Federal real property. Federal property managing agencies must expeditiously review and approve such requests unless an approval would negatively affect performance of the agency’s mission or otherwise not be in the best interests of the United States. As required by the Federal Civil Penalties Inflation Adjustment Act Improvements Act of 2015 (the “2015 Inflation Adjustment Act”), the FCC is making its annual adjustment to the forfeiture amounts covered under its rules and Forfeiture Policy. The “2015 Inflation Adjustment Act requires federal agencies, such as the FCC to publish these annual adjustments by January 15 of each year. The 2015 Inflation Adjustment Act provides that the new penalty levels apply to penalties assessed after the effective date of the increase, which will be January 15, 2018, even if the violation had occurred before the increase was announced. The determination for the annual inflation adjustments are based upon guidance issued by the Office of Management and Budget (“OMB”). Under this guidance, the FCC was required to identify any applicable civil monetary penalties (or forfeitures/fines) and then apply the OMB-supplied adjustment multiplier for 2018, which is: 1.02041. The resulting forfeiture penalty base amount is then rounded up or down to the nearest whole dollar. The agreement would have been the first partnership for Huawei with a major U.S. mobile carrier. The company is currently the number three smartphone brand behind Samsung and Apple. On January 17, the Universal Service Administrative Company (USAC) published a reminder that carriers participating in modernized Connect America Fund programs must file deployment data with USAC's HUBB (High Cost Universal Broadband) portal showing where they are building out mass-market, high-speed internet service by March 1. The filing requires submission of latitude and longitude coordinates for all broadband locations newly deployed or upgraded during 2017. Carriers with questions about the filing should contact the firm for more information. On January 12, the FCC published in the Federal Register its Report and Order adopting “new rules that protect consumers from unwanted robocalls.” Specifically, the new rules expressly authorize voice service providers to proactively block telephone calls when the subscriber of a phone number requests that calls purporting to originate from that number be blocked, and when calls purport to originate from three categories of unassigned phone numbers: Invalid numbers, valid numbers that are not allocated to a voice service provider, and valid numbers that are allocated but not assigned to a subscriber. The new rules also prohibit voice service providers from blocking 911 calls, encourage voice service providers to provide a mechanism to allow subscribers whose legitimate calls are blocked in error to stop such blocking, and clarify that providers may exclude calls blocked under these rules from their call completion reports. Carriers with questions about call blocking should contact the firm for more information. On January 10, the FCC’s Wireline Competition Bureau issued a Public Notice providing guidance regarding the Lifeline reimbursement process for eligible telecommunications carriers (ETCs). Specifically, beginning with the January 2018 data month, payment of Lifeline support for all ETCs in all states and territories (except for NLAD opt-out states) will be based on subscriber data contained in the National Lifeline Accountability Database (NLAD). Under the revised reimbursement process, payments will be made based on the number of subscribers enrolled with an ETC in the NLAD on the snapshot date for that month or, in NLAD opt-out states, based on data received either from the state or directly from the ETC. Further, beginning with data month January 2018, all ETCs must file their reimbursement request with USAC for subscribers being claimed for that month using USAC’s online E-File system, as described below. ETCs located in states that are in the NLAD system will download from USAC’s E-File system their snapshot report. The snapshot report, which is taken on the first of the month, will show the ETC’s subscriber count for the prior month. ETCs will be required to review the snapshot report and validate subscribers for which they are requesting reimbursement. ETCs must remove any subscribers for which they are not requesting reimbursement and indicate the reason for not claiming those subscribers using one of the listed reason codes. ETCs will also be required to review, correct, and certify the requested reimbursement amount associated with each subscriber. For ETCs in NLAD “opt-out” states that do not use the NLAD system (California, Oregon, and Texas), either the state or ETC will submit to USAC a file containing the required data. If the state provides the data file to USAC, the ETC will be required to review the data file and validate subscribers for which they are requesting reimbursement. ETCs must remove any subscribers for which they are not requesting reimbursement and provide a reason code for each of those subscribers. If the ETC provides the data file to USAC, the ETC must review the data file before submitting it to USAC to validate subscribers for which they are requesting reimbursement. The ETC must remove subscribers for which they are not requesting reimbursement, and provide a reason code to USAC for subscribers that are not being claimed. ETCs in NLAD opt-out states are also required to review and certify the requested reimbursement amount associated with each subscriber. Carriers with questions about the revised lifeline reimbursement process should contact the firm for more information. On January 16, multiple lawsuits were filed seeking review of the FCC’s Restoring Internet Freedom Order, in which the agency repealed the Net Neutrality rules and the reclassified broadband internet access service as an information service. One suit was filed by a group of 22 state attorneys general, spearheaded by New York Attorney General Eric T. Schneiderman. Another was filed by Mozilla, the nonprofit organization that makes the Firefox web browser. Suits were also filed by Free Press and Public Knowledge, two public interest groups, and Open Technology Institute, a part the New America Foundation think tank. Allegations variously include arbitrary and capricious behavior by the agency and anti-competitive concerns. The lawsuits may be the most likely avenue for having the repeal rolled back, as the current Congress is unlikely to do so. 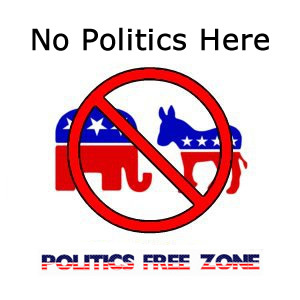 Although Senate democrats recently announced that they were very close to winning a vote to overturn the FCC’s order (in the same way Congress overturned the FCC’s broadband privacy rules at the beginning of 2016), the measure would require action on the part of the House and approval by the President and, therefore, it is unlikely to be adopted. On January 10, the FCC issued a Public Notice announcing the fourth meeting of the Broadband Deployment Advisory Committee (BDAC). The BDAC will hold its fourth meeting on Tuesday, January 23, and Wednesday, January 24, beginning at 9:00 am on both days. At this meeting, the BDAC will consider reports and recommendations from its working groups, which include a Model Code for Municipalities, Model Code for States, Competitive Access to Broadband Infrastructure, Removing State and Local Regulatory Barriers, and Streamlining Federal Siting. In addition, the BDAC will continue its discussions on how to accelerate the deployment of broadband by reducing and/or removing regulatory barriers to infrastructure investment. This agenda may be modified at the discretion of the BDAC Chair and the Designated Federal Officer (DFO). The BDAC meeting is open to the public, and the FCC will also provide audio and video coverage of the meeting over the Internet from the FCC’s web page at www.fcc.gov/live. What controls docs the FCC have in place to ensure the USF is securely deposited in the Treasury? What controls does FCC have in place to ensure that depositing the USF in the Treasury will not disrupt programs supported by the USF? What analysis has the FCC done regarding what new practical or legal obligations will be placed on the USF if it is transferred to the Treasury? What controls has the FCC put in place to ensure any new practical or legal obligations placed on the USF will not impede its statutory responsibility to promote universal service? What controls has the FCC put in place to make sure beneficiaries of the program are not harmed as a result of the transfer? As we reported in a previous edition of the BloostonLaw Telecom Update, back in August the Universal Service Administrative Company (USAC) posted a notice on its website that it is “formulating the plan to transfer the funds of the Universal Service Fund (USF) to the U.S. Department of Treasury.” According to the post, transferring funds from the bank account used by USAC to collect and distribute USF dollars into the Treasury was one of the recommendations in the Government Accountability Office’s (GAO’s) report on the Lifeline program released back in May, addressing the “Significant Risks in the FCC’s Lifeline Program.” In addition to foregoing substantial amounts of interest currently earned for the USF in USAC’s private bank account, the transfer raises serious questions as to how much and how often Treasury would use the “additional cash on hand” from the USF to pay other obligations and reduce its general borrowing and interest costs – an “option” which GAO trumpets as a reason for the transfer. a resolution introduced by Rep. Gus Bilirakis (R-FL), to ensure Federal, state, and local tax, regulatory, permitting, and other requirements are coordinated and reconciled to maximize the benefits of broadband investment. On January 11, the Senate passed S.875, a bill which requires the Government Accountability Office (GAO) to report to the FCC and Congress on the filing requirements for telecommunications carriers or service providers that receive Universal Service Fund support. The report must analyze the financial impact of those filing requirements and provide any recommendations on how to consolidate redundant filing requirements. After receiving the GAO's report, the FCC would initiate a rulemaking to consolidate redundant filing requirements and incorporate any GAO recommendations. The bill moves on to the House Committee on Energy and Commerce for further consideration. On January 16, the FCC published in the Federal Register its Notice of Proposed Rulemaking seeking comment on ways to modernize certain notice provisions in part 76 of the FCC's rules governing multichannel video and cable television service. Accordingly, comments are due February 15, and reply comments are due March 2. First, the FCC seeks comment on proposals to allow various types of written communications from cable operators to subscribers to be delivered electronically, if they are sent to a verified email address and the cable operator complies with other consumer safeguards. The FCC also proposes to allow subscriber privacy notifications to be delivered electronically to a verified email address, subject to consumer safeguards. In addition, the FCC proposes to permit cable operators to reply to consumer requests or complaints by email in certain circumstances. Finally, the FCC seeks comment on how to update the requirement that broadcast television stations to send carriage election notices via certified mail. According to the Wall Street Journal, “Google has teamed up with other firms, including domestic telephone operators and Facebook Inc., to build its subsea cables.” One cable will stretch 6,200 miles from Los Angeles to Chile; a second 4,500-mile cable will connect the U.S. to Denmark; and a third planned 2,400-mile cable will run from Hong Kong to Guam. As we reported in yesterday’s edition of the BloostonLaw Telecom Update, the Universal Service Administrative Company (USAC) published a reminder that carriers participating in modernized Connect America Fund programs must file deployment data with USAC's HUBB (High Cost Universal Broadband) portal showing where they are building out mass-market, high-speed internet service by March 1. In response to questions we have received, we want to clarify that a number of carriers will not need to make this filing. Specifically, recipients of Connect America Fund-Broadband Loop Support (CAF-BLS) are required by the rules to file information regarding new locations deployed from May 25, 2016, to December 31, 2016. However, carriers that receive CAF-BLS and have no buildout obligation because they already have 80% or greater deployment of 10/1 broadband service have nothing to report. Accordingly, no HUBB filing is necessary. These carriers will continue to report their location information and the associated certifications as required on FCC Form 481. Carriers with further questions about the filing should contact the firm for more information. 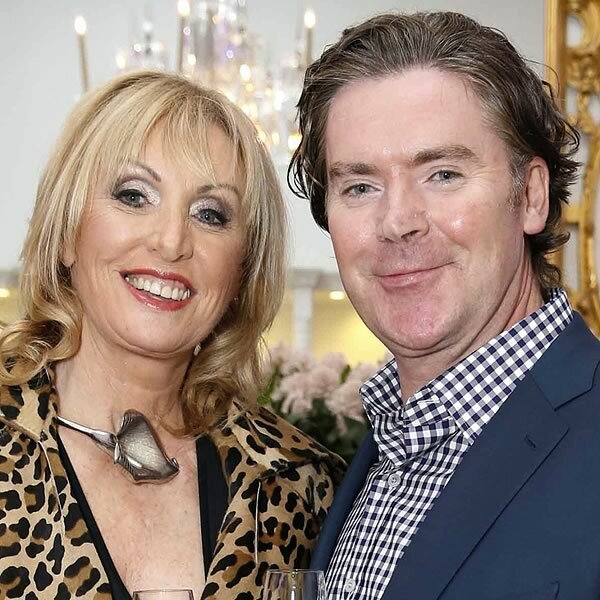 Husband and wife team Dan and Linda Kiely met when they worked on the short-lived magazine, Cork Scene. They set up a paging business in the city and it developed into a slick outsourced services operation. A stake was sold to a Canadian firm last year, with the Kielys getting €40m upfront. The whole deal could be worth €100m at the upper end. We are proud to introduce one of our newest Playing For Change Foundation program partners — the Baja Musical Arts Initiative in Tijuana, Mexico.